Krypton is coming soon. TVInsider reports the new Syfy TV show will premiere in March. From Man of Steel writer David S. Goyer, the prequel drama “will follow Superman’s grandfather — whose House of El was ostracized and shamed — as he fights to redeem his family’s honor and save his beloved world from chaos.” The show stars Cameron Cuffe as Seg-El and Georgina Campbell as Lyta Zod. Krypton premieres on Syfy on March 21st. The legacy of #Superman was born on #Krypton. What do you think? Are you a Superman fan? Will you watch Krypton? 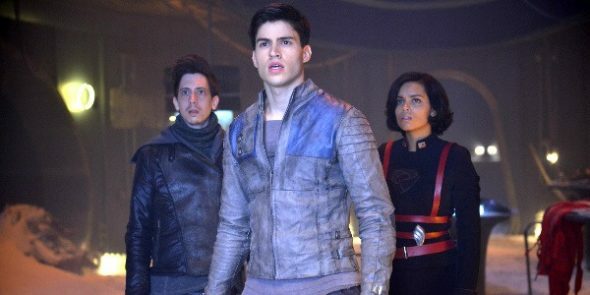 More about: Krypton, Krypton: canceled or renewed?, Syfy TV shows: canceled or renewed?